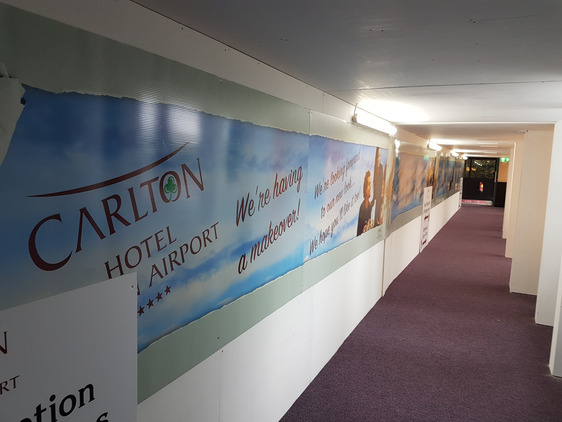 At Printcom we designed, printed and installed numerous indoor and outdoor signs directing the customers to their temporary reception facilities. 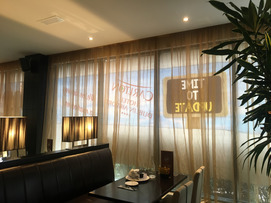 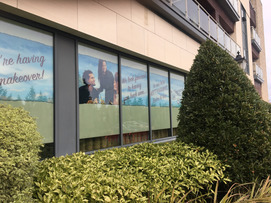 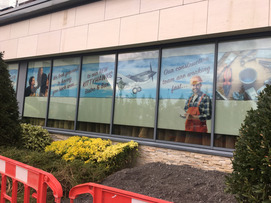 We also branded the fourteen Windows in the dining room with a reveal message informing customers of the soon-to-be opened new Kittyhawks Café and Bar and the Mayfly restaurant. 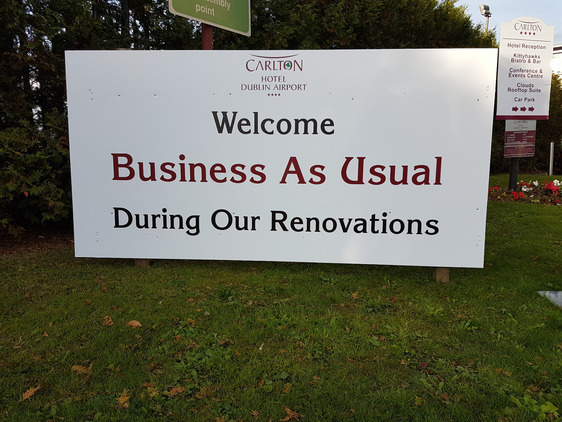 We would like to wish Declan and his team in the hotel all the best with the new construction and thank them for their support. 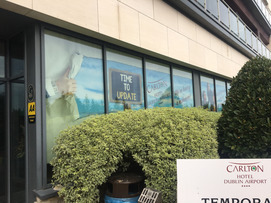 We look forward to sampling the food in the new restaurant when it’s completed.